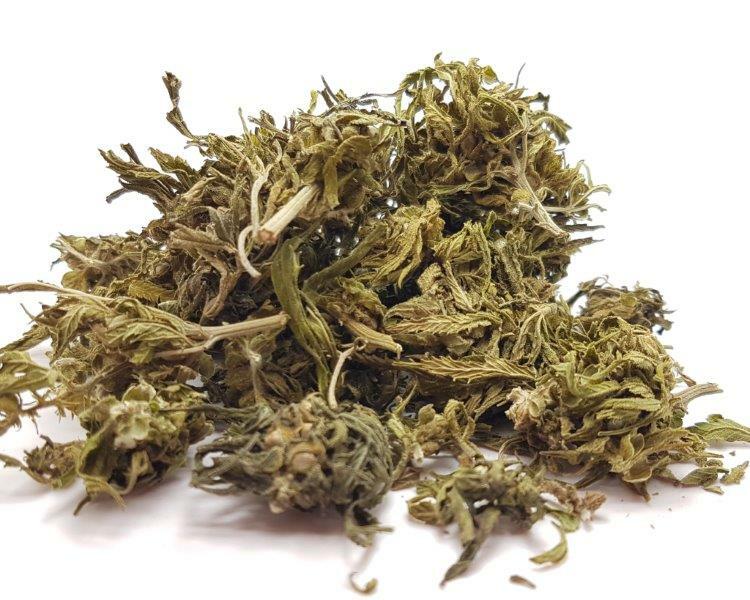 What is the CBD in hemp tea? 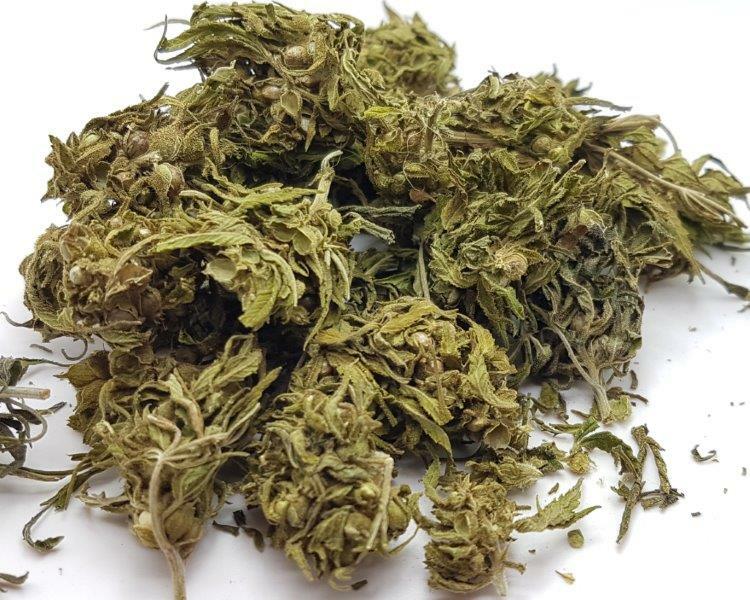 CBD is an important component of the cannabis plant besides THC. While THC is psychoactive, CBD is calming and relaxing. There are many varieties of hemp grown with a high concentration of THC, but that's not what it's all about. 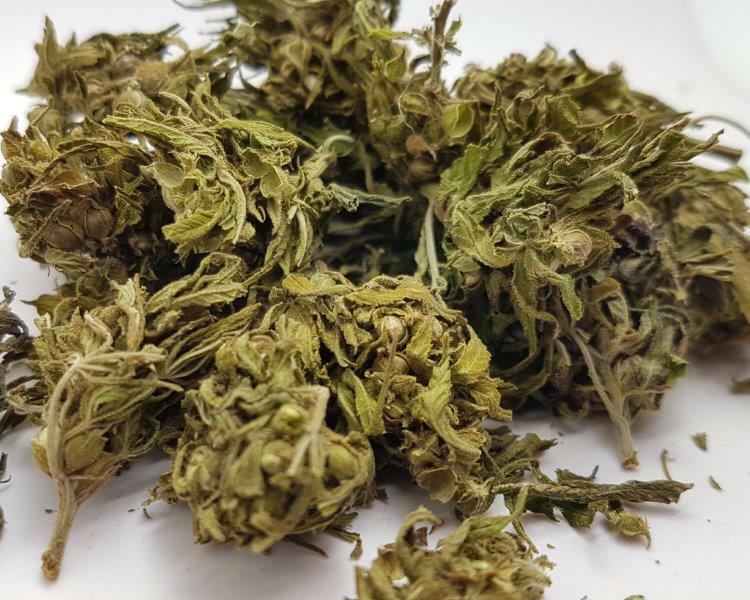 There is a new trend to grow cannabis plants with a high CBD content, the second most important substance in terms of the therapeutic effect of cannabis. 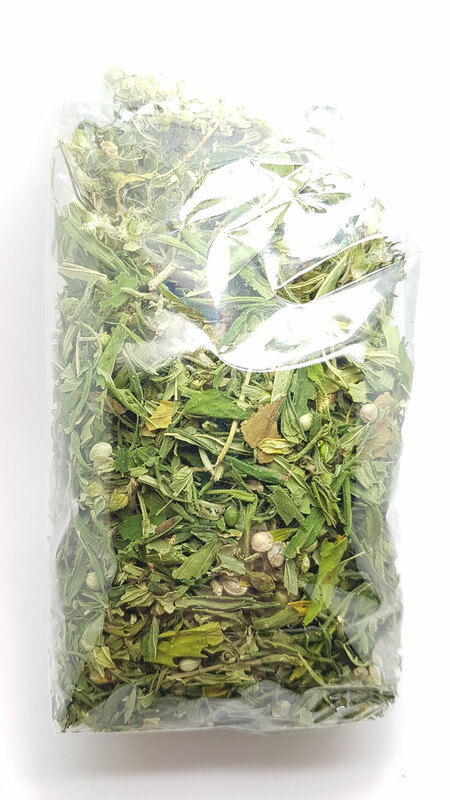 Hemp Tea Nature is a blend of hemp leaves and flowers. 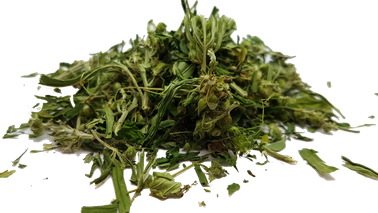 The plant used (i.e., dried leaf and flower) comes from the legal varieties of industrial hemp (cannabis sativa) from organic agricultural cultivation. The plants were grown with love, hand-picked and packed. The tea does not contain THC, but contains the positive CBD. The hemp is a superfood, which is characterized by its unusually high nutrient density. Our immune system reacts positively to the contained cannabinoids. The tea has a calming effect and strengthens you against the stress of everyday life. 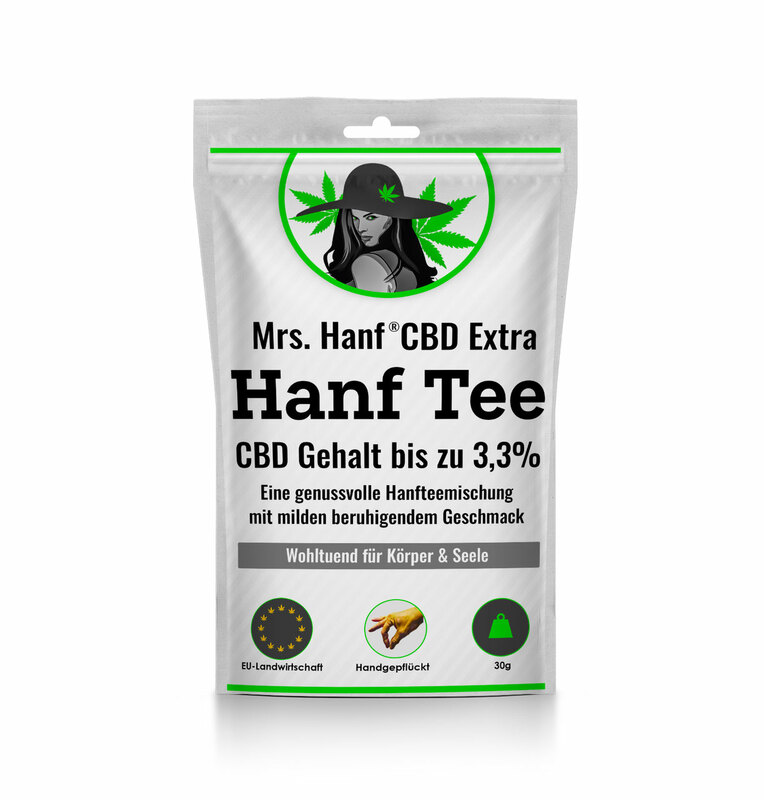 Our hemp tea is also suitable for children, pregnant women and lactating mothers, as it does not contain THC. Pour one tablespoon of the mixture into 250 ml of hot, no longer boiling water and leave for 3-5 minutes. It is best to drink for 1 hour before going to bed. A tip: Drink the tea with milk, as the fats contained there dissolve the cannabinoids better. Before you start with the hemp tea, you should be aware that the strength depends on various factors and can vary greatly. The moisture content of the flowers, the variety and the quantity influence the effect of the tea. Cannabis-based foods are notorious for their unpredictable effects, and since it takes 30 to 60 minutes for the effects to unfold, it is important to consume foods slowly and wait for the effects to come. 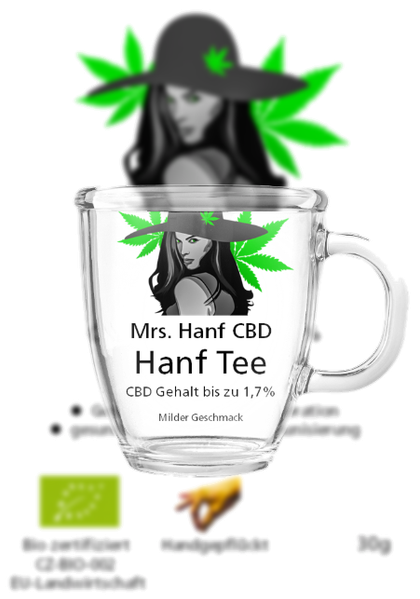 Listed below is our favorite recipe for a Mrs. hemp tea latte, which has a strong, relaxing effect on the body. The fresher the grass, the stronger the effect, but this recipe is also great if you have straws and pines left over and do not want to use fresh flowers. If you have already prepared a portion of cannabis butter, then you can skip steps 1 and 2. Mix the cannabis herb, milk, oil or butter and the vanilla extract well. Put the mixture with the water and the filled tea-egg in a pan. If you do not have a tea-egg, you can also add the tea leaves loosely and put the whole thing through a sieve at the end. Boil the mixture in the covered pan at low to medium temperature for about 20 minutes. The tea must not cook. Remove from heat and strain if necessary. Put in a cup and season with cinnamon and honey. If you like it fast and uncomplicated, then you can also add a few drops of CBD oil to a cup of tea to enjoy the non-psychoactive effect of cannabidiol. Simply pour boiling water into a cup and add a sip of milk to help dissolve the oil before adding the tea bag. Hemp tea is a great option for patients who want to benefit from the therapeutic effect of the hemp plant without smoking it. 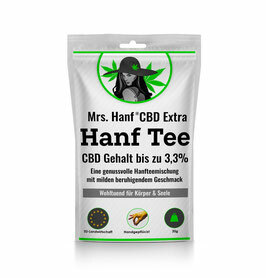 The next time you want to relax your whole body and mind, or find new ways to use Hanfghi or CBD drops, just take a cup and cook a hemp tea. Put the whole pack of CBD hemp tea into the oven for 10 minutes and heat at 150 ° C for 10-15 minutes. Then cool and pack again, then prepare as usual. Please do not forget fat (coconut fat, CBD drops, butter, fresh milk). 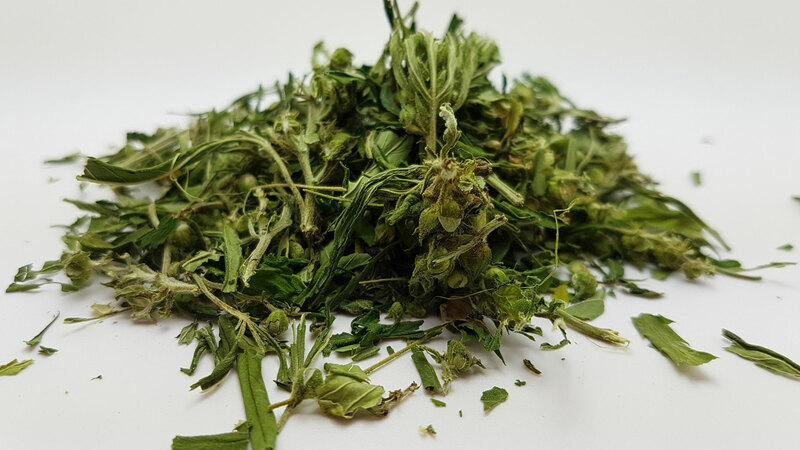 CBD EXTRA hemp tea is a hemp tea blend of leaves and flowers with an extra high percentage of CBD, 3.3%. Harvested in October 2018. 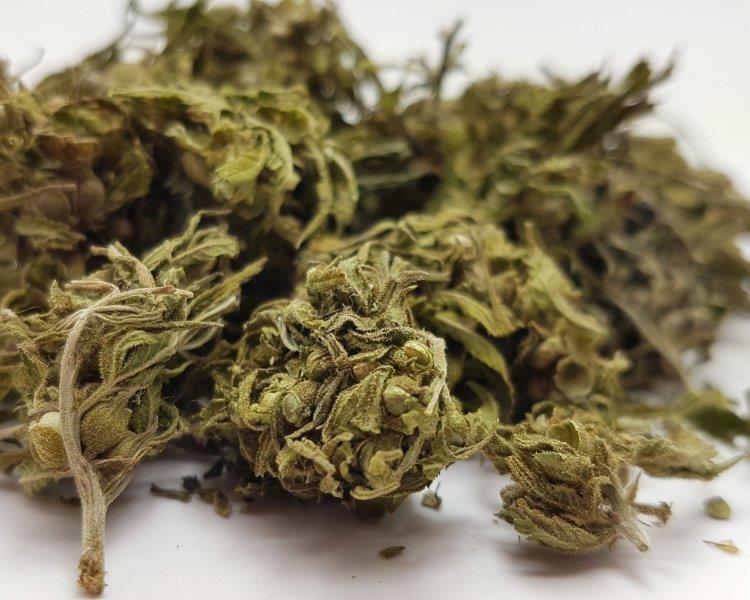 This is the Polish variety Tygra, which is known for its higher percentage of CBD cannabidiol. Even better and more balanced in the taste! Preparation: Pour a tablespoonful of the mixture with 250 ml of hot, no longer boiling water and leave for 3-5 minutes. It is best to drink for 1 hour before going to bed. The addition of honey, lemon, mint or lemon balm deepens the taste of these teas.